Bringing together experts on regionalism and federalism this collection explores the impact of legislative regions on parties and voters. It reflects on the 1980 publication of Small Worlds by David Elkins and Richard Simeon, which outlined how and why voters and policies differ across Canadian provinces. 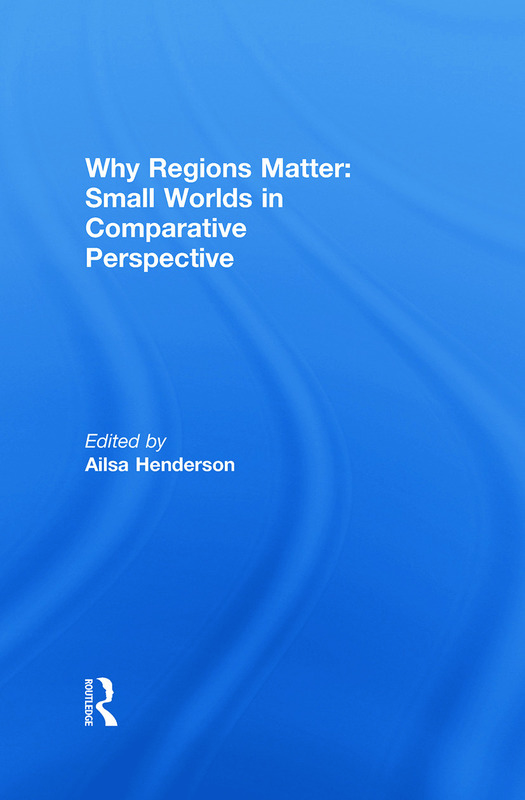 Using recent data, the essays in this collection provide a comparative re-examination of the impact of regions. The book explores attitude divergence in Canada and in the US, the role and impact of regional parties in Quebec, Scotland and Bavaria, the impact of multi-level governance on how citizens understand and discharge their duties and the capacity of sub-state political systems to influence general political attitudes. The result is an empirical and analytical contribution to regionalism and federalism studies that demonstrates how and why regions matter. This book was published as a special issue of Regional and Federal Studies. Ailsa Henderson is Senior Lecturer in the Department of Politics and International Relations, University of Edinburgh. She has published widely on sub-state political cultures and elections and is the author of Hierarchies of Belonging: National Identity and Political Culture in Scotland and Quebec (2007) and Nunavut: Rethinking Political Culture (2007). She currently holds a Marie Curie International Incoming Fellowship to study regional political cultures in Europe.